Posted on 12 November 2016. GOVERNMENT has promised that a stable and responsive mining tax regime will be maintained under the 2017 National Budget. The State has also pledged to fully implement effective mining monitoring mechanisms such as the Mineral Value Chain Monitoring Project to enhance transparency in the sector. 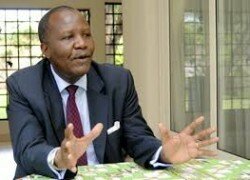 Speaking during the budget presentation in Parliament yesterday, Mr Mutati said Government would accelerate the promotion of a diversified mining output base to other minerals such as gemstone, gold, nickel, manganese and iron. Mr Mutati said Government would also update the geological database of Zambia to support future investment in the oil and gas sector. The minister further explained that Government would promote industrialisation as a means of diversifying the economy through facilitating value addition in the agriculture, mining and forestry sectors. He said Government would establish an agriculture and industrial credit guarantee fund for SMEs to facilitate access to affordable financing. He said the facilities would ensure SMEs contributed strongly to employment generation and economic growth. He said Government would further develop financing instruments that would attract pension funds led by the National Pensions Scheme Authority and other investment companies to support industrialisation under the Industrial Development Corporation. “Priority will be given to projects that add value to output of the agriculture, mining and other primary sectors,” he said. Mr Mutati said in order to promote development, Government would enact proactive policies in the following sectors; energy, transport, international trade, information and communication technology, water supply and sanitation, education and skills development, health, social and social protection. Others sectors include fiscal targets and policies, debt management policy, aid policy, monetary and financial sector policies and structural reforms.